The Seller: Top Master, Inc. is Kansas City’s largest and oldest custom countertop and commercial surface fabricators. The company provides countertop and custom surface applications such as granite, solid surface, quartz, and exotic woods to kitchen and bath designers, millworks, architects, engineers, builders and general contractors. 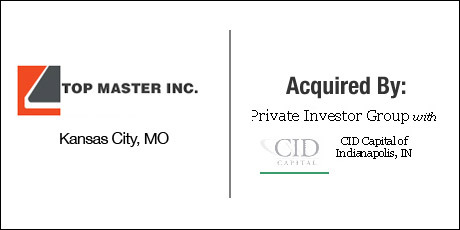 The Close: Top Master, Inc. was owned by two partners with very different objectives. One partner desired a liquidity event and the second partner wished to stay on with the company. The company granted DVS a limited engagement allowing them to present only three buyer candidates. The company pursued other buyers as well. DVS presented the sellers with a group of private investors that had a private equity partner in place. The partner that wished to stay on in the company was confident that the DVS’s private investor candidate had what it took to get the deal done and that he would be the most comfortable working with that group on an ongoing basis.